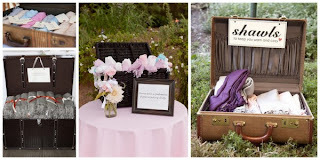 Love this favor idea! Pashminas or small shawls for when it gets a bit chilly outside! Thank you capclassique!